Oklahoma Connection | Dahlgren moved with her parents to Kingfisher, Oklahoma, in 1890. Jennie Dahlgren had a twin sister, Jessie S. Dickson, who served 29 years with the school land department until illness forced her retirement. Being identical twins made it very confusing for co-workers and acquaintances. Upon the deaths of their husbands, they lived together during the last years of their lives. Born Jennie Stucker in Ohio, Mrs. Dahlgren came to Oklahoma with her parents at the age of six and moved to Oklahoma City in 1908. She married her husband Bernard Dahlgren the day after Christmas in 1912 and had two small daughters. Widowed seven years later, to support her children, she entered the workforce at the office of the Secretary of State in August, 1920. 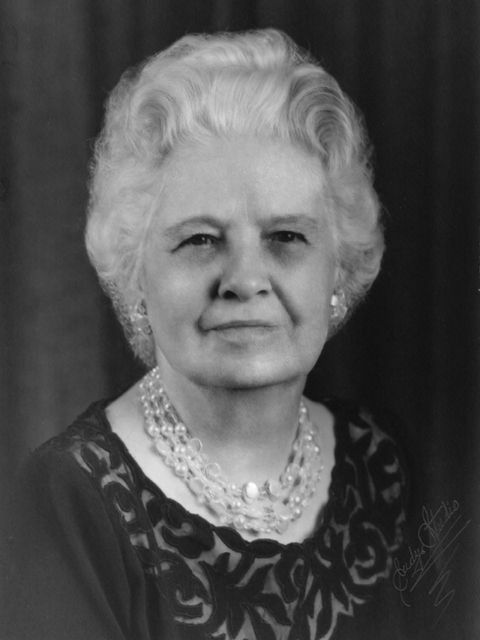 Thirteen governors served during her time there, and Mrs. Dahlgren, eventually became Assistant Secretary of State. She served a total of 45 years in the office of the Secretary before her retirement. Mrs. Dahlgren also taught Sunday school in the First Christian Church continuously for 35 years and was a deaconess for life. She was a member of Federated Clubs of Oklahoma City and a charter member of the Daughters of Decency. She was active in numerous charitable events including the United Fund campaign. See pictures of Jennie Dahlgren and other media HERE.